The Department for Environment, Food and Rural Affairs (Defra) has appointed senior government communicator Toby Nation as its director of comms, PRWeek has learned. Nation, who has worked in the Home Office and the Department of Health, held the role of interim director of comms at Defra for more than a year before taking the position on a permanent basis in December, it emerged this week. Defra’s key functions are to protect the public from the risks of flooding as well as animal and plant diseases. Its comms campaigns, including ‘Flood Aware’, reflect this. The department recently launched a 25-year Environment Plan that encompasses the work it does across food, farming and fisheries. One of Nation’s priorities will be to ensure that the plan’s vision is understood by these sectors in the run-up to leaving the EU next year. Nation told PRWeek that Defra will launch a series of low- or zero-cost campaigns during 2018 in support of the Environment Plan, including on single-use plastics and enhancing animal welfare. Defra will also contribute to the Government’s cross-departmental GREAT campaign, with the second year of ‘Food is GREAT’. The GREAT brand is managed by a specialist campaign team that works across multiple government departments and agencies, including the Department for International Trade, the Foreign Office and VisitBritain. Nation said: "2018 sees us entering our second full year delivering Food is GREAT. We’re incredibly proud of what we’ve achieved with this campaign in the past few years and we’re making really strong progress encouraging more food and drink companies to export for the first time and current exporters to sell more." Nation said Defra had one of the biggest ‘EU Exit programmes’ in government and that its work this year would see the department carry out a range of activity in support of this. Nation began his career at the WPP-owned marketing comms agency Harrison Troughton Wunderman but moved on to become a journalist on the campaigning local newspaper News Shopper, which covers south east London and North Kent. 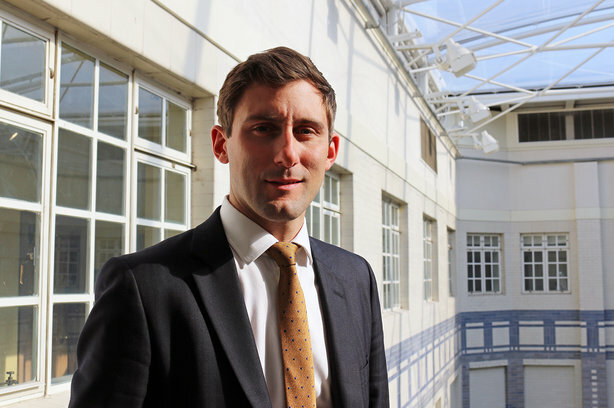 He began working in government comms in 2007 when he became assistant director of news at the Home Office, a position he held for more than five years before moving to the Department of Health as its chief press officer. A second stint at the Home Office followed, as deputy head of news, before Nation moved to Defra, first as head of news and then as interim director of comms. Commenting on his appointment, Nation said: "I’m delighted to have secured the group director role permanently. Over the past few years Defra group has developed a newfound confidence and influence, and with the opportunities and challenges brought our way by EU Exit this has to be one of the most exciting departments to be in at the moment. There’s a huge amount to do, but thanks to our work bringing together communications expertise from across the group the team has never felt stronger."